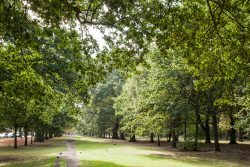 Residents can expect to see improvement works to revive two key areas of Tooting Common over the coming months as part of the Tooting Common Heritage Project. The works will help breathe new life into the lake and also restore the rare and ancient acid grassland which is an important habitat for many species of wildlife. Tooting Common has been designated as a Site of Metropolitan Importance for Nature Conservation, partly as a result of its acid grassland which is becoming a rarity in modern day London. Now, with funding from The Heritage Lottery Fund (HLF), both the lake and the acid grasslands are to be restored and revitalised. Part of the project will involve removing invasive species, including bramble, scrub and tall herb from the area of common that is home to the grassland. It will also involve cutting back hawthorn trees and removing some overcrowded oaks to reduce shading and prevent leaf fall onto the grassland which badly affects its acidity levels. Future plans include ‘scraping’ to remove just the top layer of soil which will help recreate the delicate acid grassland landscape which provides a rich habitat for insects like butterflies and grasshoppers. The restoration work to the lake is designed to make it a more welcoming and thriving habitat for aquatic life. This will involve removing overhanging and submerged trees and branches from the island and on the eastern side of the lake in the woodland area known as the Sanctuary. Reducing leaf fall and also rotting wood from polluting the lake will lead to cleaner water and also allow more light to help aquatic plants and vegetation grow. The lake will benefit from new planting plus the installation of floating rafts which will provide a better environment for birds and insects. A native mixed hedgerow along the opposite side of the Sanctuary, parallel with the footpath, will be planted, which will also provide additional habitats for other forms of wildlife. The works will be managed and supervised by Enable, the not-for-profit staff mutual which manages Tooting Common on behalf of Wandsworth Council. For further information, contact the Tooting Common heritage project team on (020) 8871 6995 or email skryuchenkova@wandsworth.gov.uk. To find out more about the project visit the council’s website.